Aha! It looks like the euro charged up the charts yesterday like Rudolph the red-nosed reindeer. With Stochastic still not being in the overbought territory, indicating upward momentum, there’s a good chance that we could see EUR/USD hustle some muscle all the way up to the area around its previous low between the 38.2% and 50% Fibonacci retracement levels. But that’s just my two cents. If the pair gets rejected at the 1.3100 major psychological handle, it could tumble back below 1.3000. 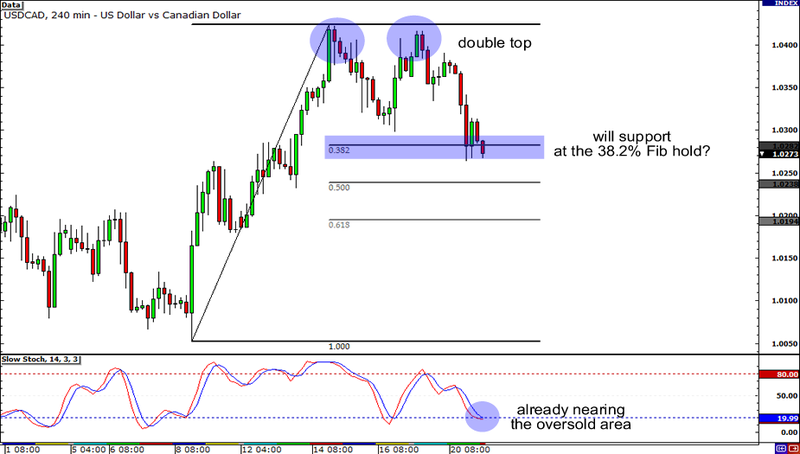 Did USD/CAD just form a double top on the 4-hour timeframe? It seems like it! We learned in the awesome School of Pipsology that the drop in price is USUALLY equal to the height of the double top. And so, it may not be long until we see USD/CAD go all the way down to 1.0100. That is, of course, if the pair doesn’t bounce from support at the Fib levels. 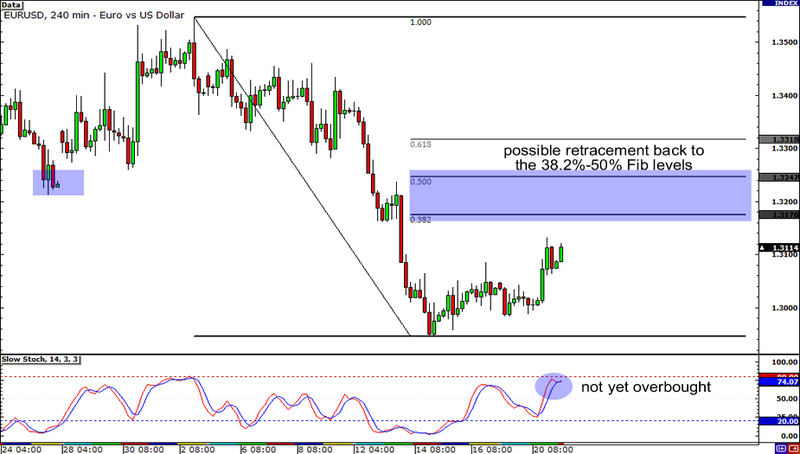 Take note that Stochastic is already nearing the oversold area while price is testing support at the 38.2% Fib. It might be best to keep an eye out for candlesticks, homies. 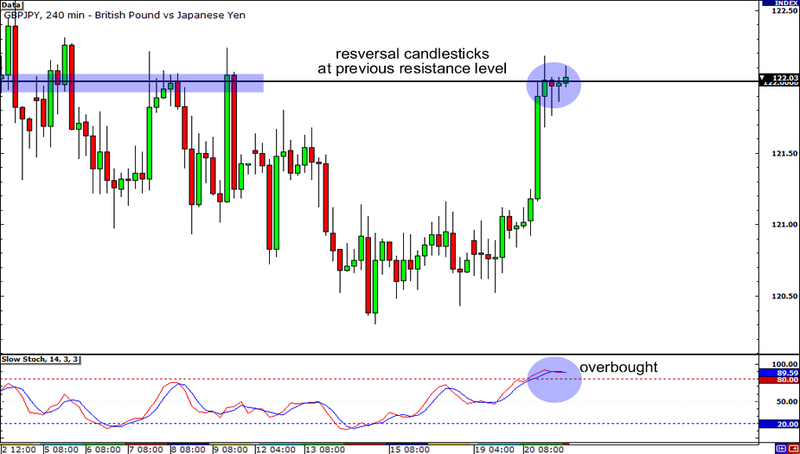 A bullish marubozu could signal that the pair is about to skyrocket back to 1.0400 or even higher! Yo! Just look at GBP/JPY on the 4-hour chart chillin’ like ice cream fillin’ at the 122.00 major psychological handle. If you’re feelin’ bearish for the pair, you’d be happy to know that it has formed a couple of reversal candlesticks and Stochastic is in the overbought area already. BUT! Don’t get too excited selling the pair all right? A close above yesterday’s high at 122.20 could mean that the pair is headed back up to 123.00!